Virginians with a variety of medical issues are hoping the state will make it easier for them to access medical marijuana. RICHMOND, Va. — As other states have relaxed their laws against marijuana, citizens across Virginia gathered here Saturday to discuss how to persuade the General Assembly to legalize medical and recreational marijuana in the Commonwealth. Not only does Davis’ daughter suffer from cancer, but her son, Aiden, has Crohn’s disease. Aiden also uses cannabis to ease the pain of everyday life, Davis said. While most of Virginia may be enjoying some good, old-fashioned reefer madness today, at least 22,000 people will be left out this year, paying fines and sitting in jail as decriminalization efforts have failed to take effect. Most of them are Black. Sorry to bring down your high. “[Decriminalization] is an urgent criminal justice and racial justice issue in Virginia that lawmakers should be taking more seriously,” said Bill Farrar, director of strategic communications at the American Civil Liberties Union (ACLU). According to a study conducted by ACLU, 8.2 million arrests are made each year for marijuana possession, while people of color are 3.72 more likely to be arrested for possession. Farrar stated that in certain areas of Virginia, they are eight times as likely to be arrested. Those arrested are most often carrying less than an ounce of marijuana, yet have exorbitant fees and often spend time in jail. Currently, being caught with less than half an ounce is a misdemeanor, but anything over a half ounce is considered a felony. “The commonwealth spends nearly three quarters of a billion dollars each year enforcing a law that dramatically and disparately entangles people of color in the criminal justice system, while neglecting to fund programs to help people with mental illness or directly address the growing opioid problem,” Farrar said. This past General Assembly session, two senators presented bills with decriminalization efforts and both failed at the Courts of Justice committee level, meaning they never reached the floor for a general vote. “It’s important to note that African-Americans only make up 20 percent of Virginia’s population yet are arrested three times more than whites for marijuana possession when use is equal between races,” said Jenn Michelle Pedini, executive director at Virginia NORML (National Organization for the Reform of Marijuana Laws) who assisted Senator Adam Ebbin in writing Senate Bill 111, which would decriminalize marijuana and reduce charges to a simple $50 fine on the first offense with subsequent fine increase to $100 and $250 for second and third offenses. In addition to this systemic oppression, both Farrar and Pedini cited gross spending habits by the Virginia state government to continue arrests for marijuana possession. According to a study by the Drug Policy Alliance, Virginia spends $70 million annually on marijuana possession arrests and prosecutions alone. “That is more than the Commonwealth has budgeted for the current fiscal year for statewide capital improvements to transportation and natural resources combined, and 14 percent more than the amount of general funds budgeted to support the Department of Behavioral Health and Developmental Services – which deals with mental health and substance abuse treatment, among other things – for the entire 2016-18 biennium,” Senator Ebbin said in a statement to the General Assembly in February. A portion of this spending is for programs like the Virginia Alcohol Safety Action Program (VASAP), a court-ordered addiction clinic. Twenty-one percent of those ordered to VASAP are there for marijuana possession, equal to the percent sent in for opioid and heroin. “If we stopped this waste of taxpayer dollars and instead decriminalized, removed that six months to one year rehab requirement, you would immediately double access to treatment for opioid and heroin addiction,” Pedini said. Senator Tommy Norment promised during his campaign to put forward a decriminalization bill as well, but later reduced it to an expungement bill. Both Farrar and Pedini were disappointed in this change, and Senator Ebbin openly objected to it on the Assembly floor. “The members of these subcommittees are primarily prosecutors, and they’re not interested in passing legislation that limits or reduces their prosecutorial discretion,” Pedini said. In a 2018 poll released by Virginia Commonwealth University, eight out of ten Virginians said they would prefer reducing the marijuana possession misdemeanor conviction to a fine and are in favor of reform. “Virginians want us to decriminalize marijuana possession, not to create a new fish trap that doesn’t do anything to address the racial disparities in our current criminal justice system nor address the high costs of continuing to criminalize simple possession,” Senator Ebbin said. Pedini and Farrar are hopeful that Senator Ebbin’s bill will pass in 2020 after the 2019 elections. Charlotte Figi was three months old when she first started having seizures. By age two, she began having seizures so severe it resulted in the loss of motor ability. After a series of grueling and rigorous tests, she was diagnosed with Dravet Syndrome, a rare and severe form of intractable epilepsy according to CNN’s report. Charlotte’s family, based in Colorado, was on the verge of giving up before a specific treatment became available one offered the chance for their daughter to live a normal life. After a change in medicine at the age of six, her attacks decreased to two to three times a month, down from 300 a week, and she was even able to ride her bike and feed herself. And what was the medicine that helped Charlotte so much? The oil extracted from cannabis or marijuana. Here in Virginia, as the laws currently stand, only patients with intractable epilepsy are able to offer their illness as an affirmative defense in court. For everyone else who could potentially benefit from cannabis extracts — those with cancer, multiple sclerosis, and Parkinson’s, the use of cannabis oil as a medical treatment is still deemed a criminal offense. “We had pieces of legislation in 2017 that sought to expand patient access and all five of them were tabled in the House Criminal Law Subcommittee,” said Jenn Michelle Pedini, Virginia’s NORML Executive Director. However, until the Board of Pharmacy amends the licensing processes for this to take place, these patients will still have to travel to states where it is legal – potentially committing “drug trafficking” offenses to obtain them. Now I’m not making the claim that smoking marijuana is a “cure-all” for all illnesses as some die-hard enthusiasts claim. What I am claiming is that extracts from marijuana have scientifically proven medicinal benefits, and that must be considered by our policy makers and legislators. 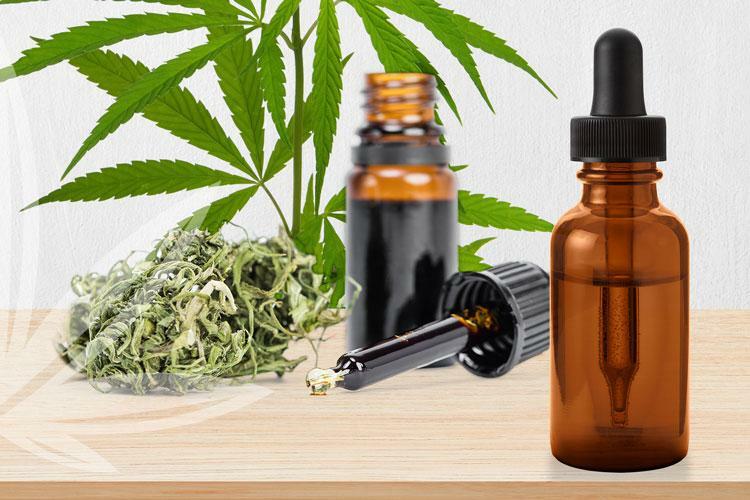 Marinol, which is a full strength synthetic THC — THC being the primary active chemical in marijuana — comes with some side effects, including dizziness, confusion, and the “high” feeling one gets when normally smoking cannabis. Yet, it is available by prescription in the state of Virginia. The reason for these undesired effects is that it doesn’t have the terpenoids – chemicals that are responsible for giving the plant its distinct scent – and complementary cannabinoids – like THC, there are 113 of these active chemical compounds that are responsible for interacting with neurotransmitters exhibiting the psychoactive effects associated with cannabis. Both of these naturally occur in marijuana and are able to mitigate these side effects. Without them, Marinol can present more harmful side effects than actual CBD and THC-A oils. And if a synthetic version of an extract has been proven to be more harmful than the actual substance, there should be no logical reason to make that substance illegal. This issue of medical marijuana derivatives has been polarizing in the past. However, a recent Quinnipiac poll shows that an overwhelming 92 percent of voters support medical marijuana when it is prescribed at a doctor’s discretion. Hell, 64 percent of the nation even supports recreational use of marijuana. Pedini relayed to me a variety of information on the current state of Cannabidiol Oil Laws (COL) in the Commonwealth. According to her, the delay in legalizing the wider medical use of cannabis oils is due to the those who profit from archaic and failed views on the war on drugs. Specific industries she’s referring to here include the substance abuse management industry, law enforcement, and some legislators that take campaign contributions from these industries. Pedini went on to say, “A lot of these legislators are prosecutors or criminal defense attorneys, and they view marijuana law infractions in a much different context than someone who concerned about medical access does.”. It’s disappointing (to say the least) that these individuals fight to retain control over a system they helped create, even when it means preventing chronically ill people from receiving much-needed care and relief. A common claim by the opposition is that these oils can be used as an excuse to get high. However, the JCHC report admits from the outset that CBD contains no intoxicating properties. It is psychoactive by nature, as are most drugs, but psychoactive merely means altering your brain function. With CBD oil, that’s as far as it goes, stopping well short of any intoxicating effects. THC-A also does not have intoxicating properties on its own, but a normal 15 percent THC-A dose can be overheated to reach 5 percent THC. This sounds like a cause for concern, but SB 1027 already allows up to 5 percent THC in medications for children with intractable epilepsy. “There’s no particular need for Virginia to roll it’s already hyper-restrictive program backwards. That doesn’t serve patients, it doesn’t serve public safety — it doesn’t really serve anyone,” said Pedini. This is not to mention that obtaining THC-A just to get that 5 percent of THC would be an overly expensive process; doctors’ visits, prescription costs, and deductible payments costs would add up to far more than such drugs would cost on the street. Besides, these substances won’t fall into the hands of your stereotypical drug dealer anyway; most advocates, including NORML, are in favor of legal medicinal cannabis extracts being treated as any other prescription and requiring a doctor to sign off on its use. Sentiments were expressed by opponents of decriminalization at the recent decriminalization meeting held by the State Crime Commission, however – to the effect that “the leniency on one marijuana-related law will pave the way to full-blown legalization.” With the current makeup of the General Assembly, though, the fear of legalization has no merit, even after the recent shift bringing about a 50-50 split in the House of Delegates. Statistics also have shown that in states with COL laws have no significant increase in marijuana use for both youth and young adult groups. A study in the journal Addiction recently found that increases in the use of marijuana amongst Oregon college students mainly occurred with students who were already likely to binge-drink. Students likely to abuse one legal drug may be likely to abuse another, but it seems everyone else’s usage stays about the same. Make no mistake, I do believe that legalization for recreational use should occur. But this is an argument for another day. It’s also intriguing to note that the report by the health commission features statistics showing that states with medical cannabis laws in place have a 25 percent reduction in opiate overdoses. “It is not a silver bullet to the opiate crisis, but it can play a very meaningful impact,” said Pedini. Come November 21, the JCHC will meet to discuss policy options and bill options for the 2018 General Assembly. With the reports from both the JCHC and the State Crime Commission, Gov. McAuliffe signing SB 1027 allowing for the manufacturing of these extracts in-state, and Governor-Elect Ralph Northam — a former doctor- has expressed an “open mind” to marijuana reform — the ball is in our court. “By decriminalizing it, our researchers can better study the plant so doctors can more effectively prescribe drugs made from it,” said Governor-Elect Northam on his campaign website. Virginia, we need to let the JCHC know that extracts are just as safe and effective as most traditional medicines and pave the way for patients to at least have this as an option. At last week’s informal Norfolk city council meeting Councilman Paul Riddick called for a “total presentation” on marijuana decriminalization. Sen. Adam Ebbin, D-Alexandria, is once again pushing to decriminalize weed during this year’s General Assembly.